Mariya Breyter brings 18 years of leadership experience to the Agile and Lean community. Her passion for creating high performance teams and delivering superior products to clients through efficient, lean processes had produced success after success in companies ranging from Big 4 consulting and Fortune 100 insurance and financial services firms to mid-sized educational and media businesses. Mariya has a Ph.D in Computational Linguistics followed by a Post-Doctorate at Stanford University. She has built her career optimizing and improving software delivery and instilling Agile and Lean values at multitudes of companies while keeping the primary focus on the people within those processes. The list of Mariya's certifications includes CSP, SPC, CSM, PMP, PMI-ACP, ITIL 3.0, Agile Facilitation, and Agile Coaching from ACI. Check out her LinkedIn profile for more details. 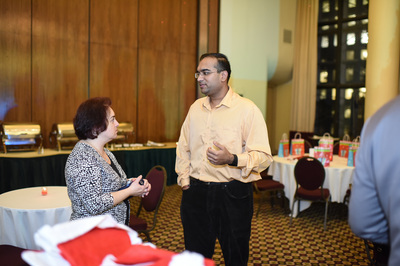 June 16, 2015: Big Apple Scrum Day 2015: Agile Coaching is Dead: Long Live Agile Practicing! May 14, 2013: Agile/Lean Practitioners Meetup: Scrum Master: A Role or Title? 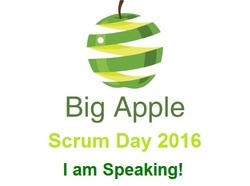 Come join my presentation at Big Apple Scrum Day 2016! As my guest, you are entitled to 10% savings - use this special code while reserving your tickets. I will be glad to speak at your Agile events! My bio is on PMI NYC site and here. The goal of this web site is to provide support to Agile professionals, from advanced enterprise-level Agile Coaches to the members of Agile teams who are starting their Agile journey. Feel free to share your questions and suggest topics - our goal is to support the community! From complex organizational rollout questions to the team level challenges, we will be glad to discuss your unique situation and share our consulting experience. ​We will post your questions without any identifiable information on our web site and share our opinion, and ask others to comment. Hopefully, this advice will give you an opportunity to build a better organization and a great community! Agile and Lean are more a set of values than anything else. Many Agile Coaches start their engagements with processes and tools, and we breathe Agile and Lean values, and everything else comes next. Having this said, we offer frameworks, templates, principles of setting your own repeatable processes that you may use to achieve delivery excellence in software and beyond. We can help you validate your own implementation, or assess organizational readiness, or define how to hire the right people for the complex task that you have. Our frameworks and templates help you and your teams succeed in a most complex environment if you are passionate about Agile values and committed to success. Good luck!